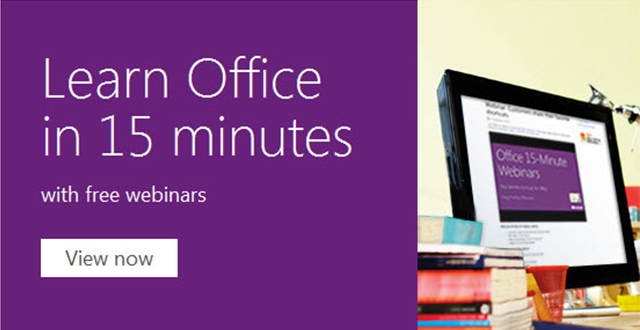 Microsoft’s Office Training: Become an Expert to master PowerPoint & Co! You are not a Microsoft Office pro yet? This can be changed in a few minutes. Becoming an expert is easy now: Learn how to master PowerPoint, Word, Excel, and Outlook by completing Microsoft’s free office trainings. The Microsoft Office suite has been a regular feature in the workplace for many years. Therefore companies expect employees to have a profound knowledge of Word, Excel, PowerPoint, etc. Besides this, Microsoft introduces regularly new Office versions to the market. To be always up-to-date with the new features of the overhauled Microsoft Office it would be recommended to complete Office courses. This option can be quite expensive. People who can’t always afford the newest courses can train their Office skills with training videos offered at Microsoft’s official website. With the help of these videos you can easily enhance your knowledge. The best thing about it is that the trainings are completely free of charge and they are available in different languages like English, French, German, Turkish, or Spanish. You can either download the training courses or you can watch the videos with an average of 30 minutes lengths directly online. Those who want to learn something new or wish to refresh their knowledge will find numerous Office training courses by clicking the support button. All videos offer useful tips and assistance about the Office applications. Microsoft has really applied a lot of effort creating a respectable offer with a large variety of available videos. You can choose from trainings for PowerPoint, Access, Excel, FrontPage, Word, Outlook, and more available for the Office versions 2003, 2007, and 2010. Learn how to switch from Office 2007 to Office 2010 or how to create visually impressive documents in Word 2010. Each training video is well-structured and divided into chapters. You can skip from one sequence to another or watch it several times and pause according to your requirements. Microsoft’s Office training is designed for all knowledge levels from beginners to professionals. At the end of every course Microsoft conducts a test where you can repeat and test your skills and progress.